Craps is a game played with two dice. 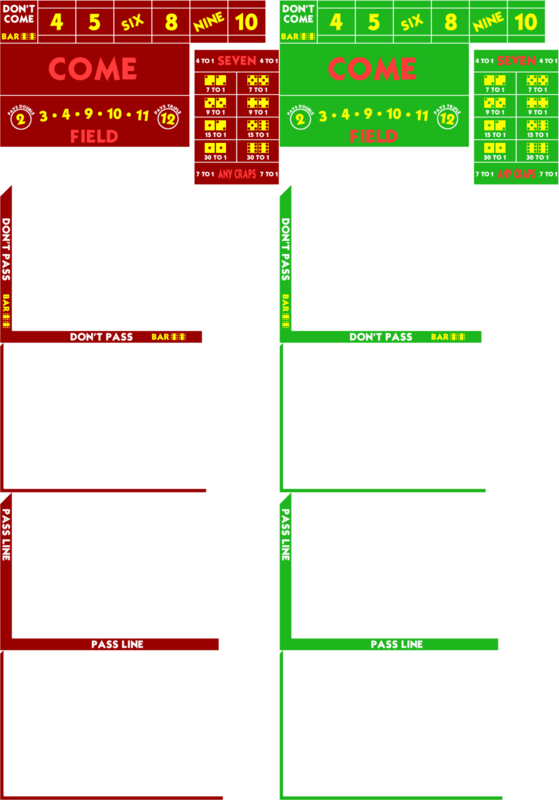 The action starts with the player making a wager on either the Pass Line or Don't Pass. While choosing one of these two bets is required for a shooter at a live craps game, our version will allow passing on these line bets. 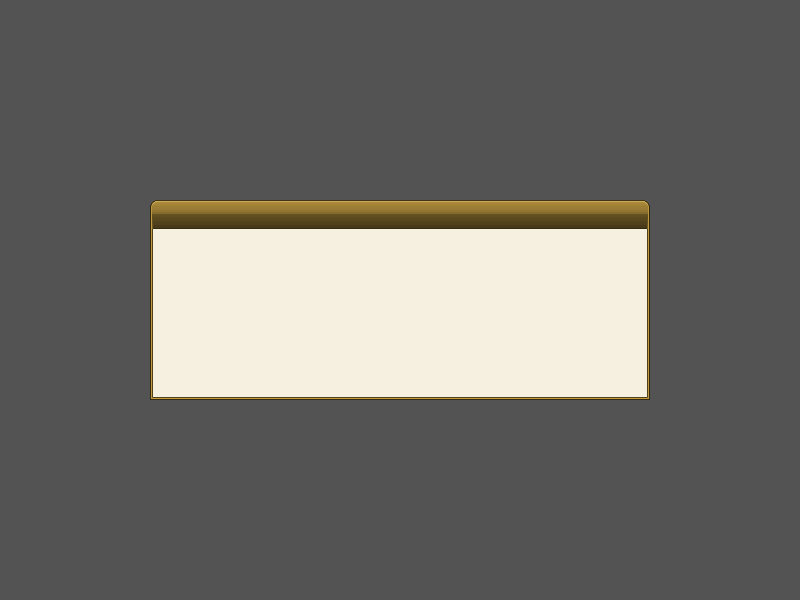 Once the bets are established, the roll button will start the action. The first roll, called the "come out roll", determines whether the bet wins or loses, or if there is a point. The 4, 5, 6, 8, 9, and 10 will become the point if rolled. All other numbers resolve the line bets on the first roll. Pass Line - Wins on a 7 or 11. It loses on a 2, 3, or 12. All other numbers become the point. If the point is rolled before a 7, the Pass Line wins. If a 7 comes before the point, the Pass Line loses. Don't Pass - This is the opposite of betting the Pass Line. The bet wins on a 2 or 3 on the first roll. It loses on a 7 or 11. A 12, which is the house roll, is a push. A 4, 5, 6, 8, 9, or 10 becomes the point. The Don't Pass wins if a 7 is rolled before the point. It loses if the point is rolled before a 7. The maximum win on an odds bet from the Pass Line on any of these numbers is six times. The maximum lay on Don't Pass bets is six times, which wins 3, 4, or 5 times the Don't Pass bet, depending on the number. There are other wagers that may be made before the come out. These bets are decided after a single roll. 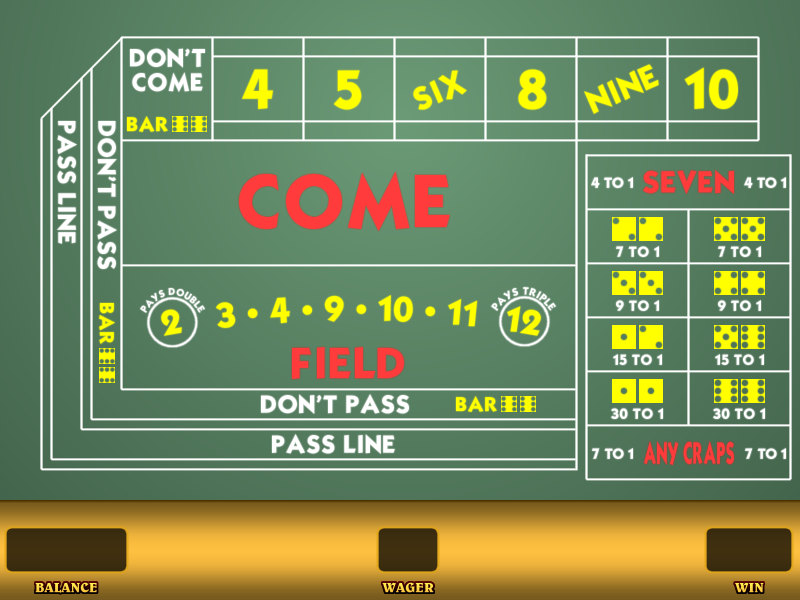 The field bet is one of the most popular one-roll craps bets. It wins if a 2, 3, 4, 9, 10, 11, or 12 are rolled. A 2 pays double, while 12 pays triple. All other numbers pay even money. Beware of some live casinos that only pay double on the field when a 12 is rolled. Aces (2) - A roll of 2. It pays 30-1. Ace-Deuce (3) - A roll of 3. It pays 15-1. Yo (11) - A roll of 11. It pays 15-1. Midnight (12) - A roll of 12. It pays 30-1. Big Red (7) - Any combination of 7. It pays 4-1. Horn - A bet that covers 2, 3, 11, and 12. It pays 3.75-1 on 3 and 11 and 7.5-1 on 2 or 12. Any Craps - Wins on a roll of 2, 3, or 12. It pays 7-1. Come - The Come bet is identical to the Pass Line. It is simply a side bet getting a new number. Don't Come - The Don't Come bet is the opposite of Come. It has the same rules as the Don't Pass and is based on the next roll. A Hard Way bet wins if doubles that equal that number are rolled before a 7 or another combination of that number, known as the easy way. For example, a "Hard 8" wins on a 4 and 4. It loses on a 3 and 5 or 2 and 6. It also loses on any 7. Buy bets win if the number picked is rolled before a 7. By default, these bets are not working on the come out roll. There is an option that will make buy bets work on the come out. Casinos often accept these bets as place bets, not buys. This adds to the house edge. Below is what each bet would pay if made as a place bet in a casino. Some casinos will accept buy bets on the 4 or 10. The juice is usually paid after the bet wins. A bet of $10 or more at a live craps table on a 4 or 10 should be made as a buy to save on the juice, if permitted. Our game offers check boxes at the top to toggle game settings. One option is to leave winning bets up so that you do not have to place them again. The other option allows buy and place bets to work on the come out roll.